I can count on one hand ( a few fingers!) the number of times Kathi Appelt and I have been in the same room. But she feels like a dear friend despite infrequent contact. She's just that kind of person, as you can quickly surmise from her full-of-heart books. 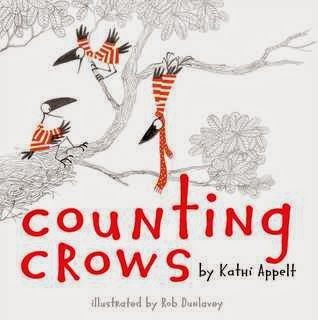 It's an honor to host Kathi today in time to celebrate her newest picture book, Counting Crows, just out. 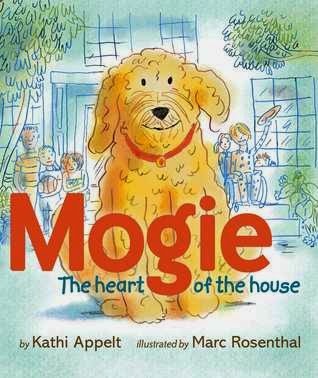 It's one you will definitely want in your collection -- along with When Otis Courted Mama, and Mogie, the Heart of the House. Don’t get me wrong; I enjoy writing novels, even though they often make me feel inadequate. But my first love will always be picture books. Until I had my own kids, I never dreamed that I would write for children. Me? I wanted to write academic stuff, essays and the like, books that would rock the halls of esteemed universities. And I earnestly tried that. But when my two little sons came along, picture books saved me. If you want to talk about feeling inadequate, wow, motherhood provided that in bunches. I was completely unprepared to be a parent. I didn’t know how to do crafty things with my boys, nor was I great at games or fingerplays or even peek-a-boo. However, the one thing I did well was read to them. And boy, we did a lot of that. I came to think of picture books as the magical element of our lives. Not feeling good? Corduroy to the rescue. Out of sorts? “Milk! Milk! Milk for the morning cake!” Tired and cranky? Star-bellied Sneetches could handle that. So, when a good friend asked me if I had ever thought about writing a picture book, it took me about five minutes to realize that she had just opened the door to something wonderful. Why not? Why not? Well, for one thing, they’re a whole lot harder than they look. But at the same time, they make my heart sing. So it’s with happiness that after a few years of not writing picture books, I now have three new ones to share. 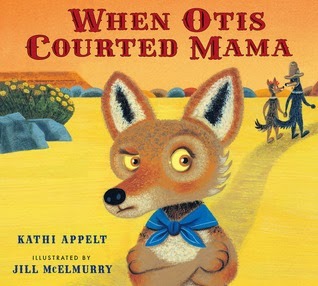 I actually wrote When Otis Courted Mama almost twenty years ago, then signed the contract for it back in 1998. So, it’s not exactly new to me. But it was definitely worth waiting for Jill McElmurry’s wonderful art to bring life and energy to my coyote family. Finally, Counting Crows was an “idea” that I carried around in my head for a long time, that idea being a group of crows who would count things. But an idea is not the same as a story, and it took me a while to think up how I could offer up the idea in a way that also told a story. There was a period in my life when it seemed like everything I wrote ended up rhyming. I actually got sick of rhyme. I never wanted to hear “moon” and “spoon” in the same sentence again! But sometimes, despite her best intentions, a girl has to rhyme. That’s all there is to it. And when I finally gave in, this book became a kind of jazz song. I hope when people read it they add a few little scats between the lines, including one for the cat who appears right at the very end. And Rob Dunleavy’s jazzy art seems to inspire a cool, bouncy rhythm. At the end of the day, my hope is that my picture books will find a way into the hands of a tired, frustrated mom who is working hard to help a cranky little toddler feel better. How great would that be? I think picture books matter. And maybe, probably, they matter as much to those of us who write and illustrate them as they do to their small readers. Like I said, they saved me, and they still do. Kirby! Thank you for inviting me to ramble down your Lane. 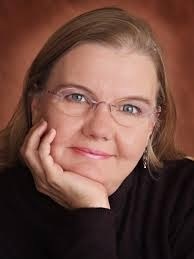 Kathi Appelt’s books have won numerous national and state awards, including the Irma and Simon Black Award, Children’s Choice Award, Teacher’s Choice Award, the Oppenheimer Gold Award, Parent’s Choice Award, Storytelling World Award, Growing Good Kids Award, Texas Writer’s League Award for Children’s Literature, the Texas Institute of Letters Award, Best Books for Young Adults, VOYA Top of the Shelf Award, and a host of others. Her first novel, The Underneath, was a National Book Award Finalist and a Newbery Honor Book. It also received the Pen USA Award, and was a finalist for the Heart of Hawick Children’s Book Award. In 2009, she was named “Texas Distinguished Writer” by the Friends of the Abilene Public Library. She is married to Ken, a musician and all around nice guy. Together they have two grown sons, Jacob and Cooper. Both of them are musicians too. They also share their home with six cats: Jazz, Hoss, D’jango, Peach, Mingus and Chica. She serves as a faculty member at Vermont College of Fine Arts in their MFA in Writing for Children and Young Adults program. This was wonderful! I think picture books matter, too! I've tried to write them, but that doesn't seem to be my strength, so I have great admiration for someone who can write them, and especially in rhyme. All three books sound interesting, for sure.